Home > Blog > Crafty Sales > New Crafty Sales! Hello. I wanted to give you an updated list of crafty sales for this weekend! Be sure to visit the websites for any fine print, restrictions, etc! Please let me know if you see any errors in the sale info! I will update this post as I learn of more deals. Affiliate links may be used at no cost to you. Thank you for your support! Please know I only support legitimate companies and small businesses with original designs and good people. xo. I will be donating a portion of my affiliate sales from this post to my friend Gumption who is working to rebuild the cemetery on Virgin Gorda what was damaged significantly during the hurricane. SIMON SAYS STAMP — Save 25% off Copic products at Simon Says Stamp! 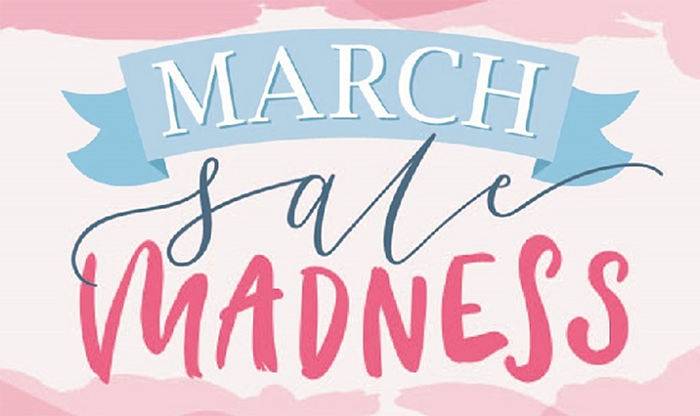 Use the code “HUE247” through 4/5/19 when shopping HERE. ELLEN HUTSON — Save 25% off art supplies at Ellen Hutson! Good through 3/15/19 with the code “ART19”. Shop HERE. THE STAMP MARKET — Get 20% OFF ALL flower stamps and dies at The Stamp Market! Through 3/24/19. Bundles are already discounted so they are not included in this sale. However a small additional discount is reflected in the shop on all floral bundles! Shop HERE. Save 50% off all Monogram Products! LOVE this line. (You can see how I used them in THIS video.) You can even get the entire monogram line at a great price. Find out all the details HERE. Spend $60 at Concord & 9th and get the Deco Stitched Border Die for free! Limited time only. Shop HERE. ERIN LEE CREATIVE — Save 40% off everything at Erin Lee Creative. No code needed. Excludes new release. This is a newer business and Erin is incredible! Shop HERE. Save 20% off all Build-A-Flower products through 3/23/19. No code needed to enjoy this sale! Not valid on previous purchases. While supplies last. *Excludes the Build-A-Flower: Dahlia and Build-A-Flower Monthly Subscription Plan. In-stock items only. Shop HERE. Get up to 45% off the items in Sale Collection through 3/24/19 – no code needed. Shop HERE. Save up to 50% off in the Clearance Section. Shop HERE. Save on the Build-A-Flower Monthly Subscription Plan – only $29.99. Shop HERE. Get $7 off international shipping on orders over $100 with code “SHIP70FF. PINKFRESH STUDIO — Save 20% off Geo Background Dies at Pinkfresh Studio. You can see them in use HERE. Use code ’20OFFGEOBKGD” through 3/24/19. Shop HERE. BIRCH PRESS — Save 15% off the entire site at Birch Press Design! I LOVE THEIR DIES! Discount can even be applied to sale items. Use code “FRIEND15” through 3/24/19. Shop HERE. FLORA & FAUNA — Save 20% off at Flora and Fauna through 3/25/19. Use the code “birthday2”. Shop HERE. PAPERTREY INK — Check out the Last Call section over at Papertrey Ink. Lots of great goodies! Shop HERE. Get the 3″x4″ Four Leaf Clover stamp set FREE with orders of $75 or more. Shop HERE. US Orders of $75 or more will also qualify for FREE shipping. No coupon code needed. Free stamp set will be added to qualifying orders. While supplies last, but starts 3/17/19. Check out the Clearance section – with tons of new items added! Shop HERE. 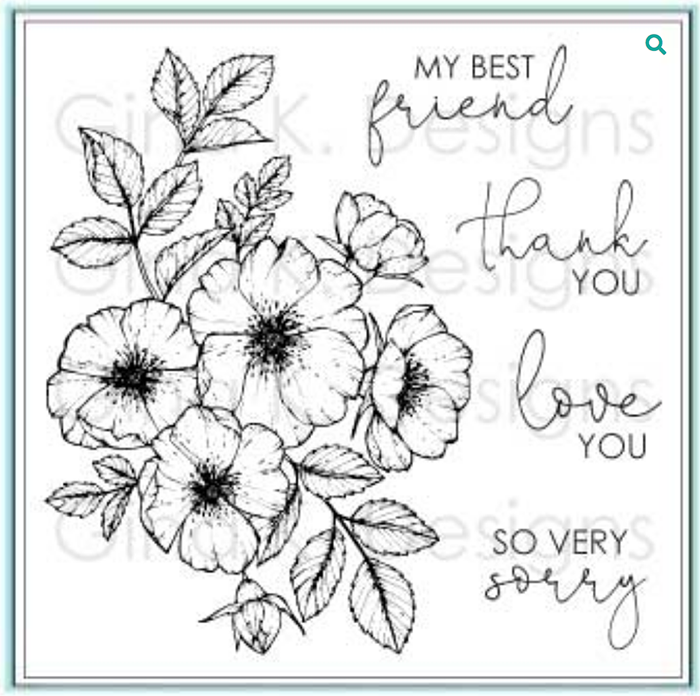 GINA K DESIGNS — Spend $75 at Gina K Designs and you get THIS amazing stamp set for FREE. Isn’t it pretty?!?! Limited time only. Shop HERE. 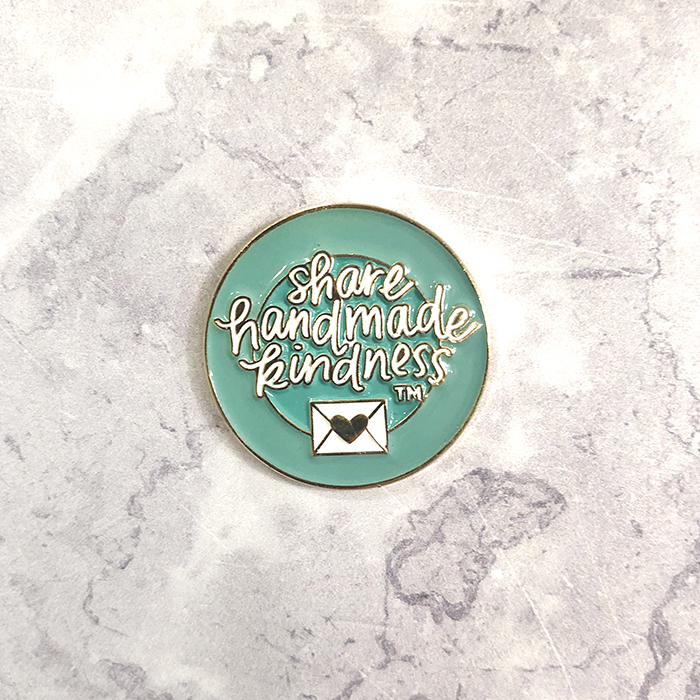 SHARE HANDMADE KINDNESS PIN — I am a huge fan of enamel pins! For over a year, I have been giving away Share Handmade Kindness (TM) pins at different crafting events. After lots of requests, I have the pins available to buy! I will be donating 100% of my profits from this pin to help kids get to Young Life camp. (I am not interested in designing or selling products. However, since many people wanted this, I decided to sell it to support a good cause! I am thankful to Heidi at Simon Says Stamp for offering to sell them!) You can get yours HERE. Thank you so much for the update, have a great weekend and I don’t know how long you stay on that beautiful Island, but enjoy it as much as you can😍❤️. Thanks! I’ve wanted to try some of the multi-layer Birch Press dies, and this is my opportunity! Thanks for keeping us all in “the know”, Jennifer!!! We all appreciate how much you do for us! Thanks for all your classes & updates. New Crafty Sales… + Want a Card?